3, 2, 1 ....The 'After the rain' Knit-A-Long has begun! Blog > Knit-A-Long > 3, 2, 1 … The ‘After the rain’ Knit-A-Long has begun! 3, 2, 1 … The ‘After the rain’ Knit-A-Long has begun! On your needles, get set and KNIT! Today our Knit-A-Long officially begins! We are starting with the neck part of the jumper as this pattern is knitted from the top downwards. Please head over to our Facebook group which we have set up for this event for you to like, share and comment. Here you can find the group: The LoveKnitting ‘After the Rain’ Knit-A-Long. We will all be posting our updates on Twitter and Instagram with the hashtag #aftertherainKAL. We are looking forward to seeing all your updates! Julia Fraundorfer Julia loves crafts and everything to do with creativity! She mainly crochets but also knits and loves starting ambitious projects! She also enjoys cooking and baking and makes arguable the best carrot cake out there! Last updated: August 17th, 2015. 12 Responses to 3, 2, 1 … The ‘After the rain’ Knit-A-Long has begun! I’m not on Facebook or Twitter. Can I still do the KAL? I registered wanting to do it last week. Hi Maggie, oh, yes of course! We will update you regularly with our progress! You can also send us your pictures to info@loveknitting.com and we will can post them for you on facebook. Waiting for it to stop raining here in Kent – then I shall cast on my ‘After The Rain’. I am so excited, I just finished my other project last night and was wondering if this KAL was going to take place. I now know what my next project is going to be. Happy Happy Knitting! I am looking forward to this knit a long…I am in Canada so I need to find a yarn that will work with this project. 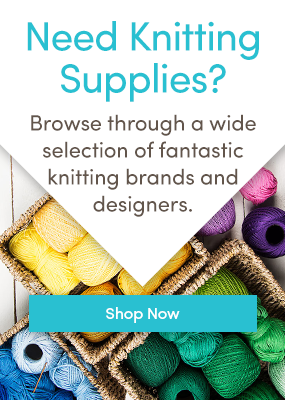 I can’t even take part as Love Knitting have not sent me anything via email when i registered my interest. Oh well….. I would like to participate. First hurdle, How do I get the pattern? I also registered to join but did not receive email, nor am I on Facebook. Where do I go to get the pattern? Where is the knit-along? I see some photos of started jumpers on FB, and one entry on this blog saying it has begun, but nowhere do I see any instructions or guidance. I’ve done knit-alongs before on other sites that include step by step instructions, along with photos of the project in progress. I can’t even tell who is running this knit-along and which is their project. Please point me in the right direction. I purchased this pattern and yarn to make the sweater thinking that there would be assistance and guidance along the way.